A new year. A new legislative session, at both the federal and state levels. Please read Jacki Ragan’s story on page 5 which outlines what you can do to help turn back pro-abortion initiatives and enacted pro-life legislation. The now-Democratically controlled House of Representatives quickly reinforced our belief that pro-abortion House Democrats will do whatever they can to promote and advance the killing of unborn children. On their first day of running the House, under Speaker Nancy Pelosi’s leadership, they voted to repeal the Protecting Life in Global Health Assistance program, an updated and expanded version of the Mexico City Policy. They also voted to restore funding to the United Nations Population Fund. All this tacked onto a bill to deal with the governmental shutdown! We can expect to see attempts to repeal the Hyde Amendment so that our tax dollars pay for abortion. Before its enactment, our tax dollars paid for at least 300,000 abortions a year. I will not be surprised to see efforts to remove any conscience protections for medical personnel who do not want to participate in abortions. And the Democrats will try to enshrine abortion as a fundamental right in new versions of the so-called Freedom of Choice Act. Whatever form FOCA takes, its goal is always to obliterate any and all protective legislation. 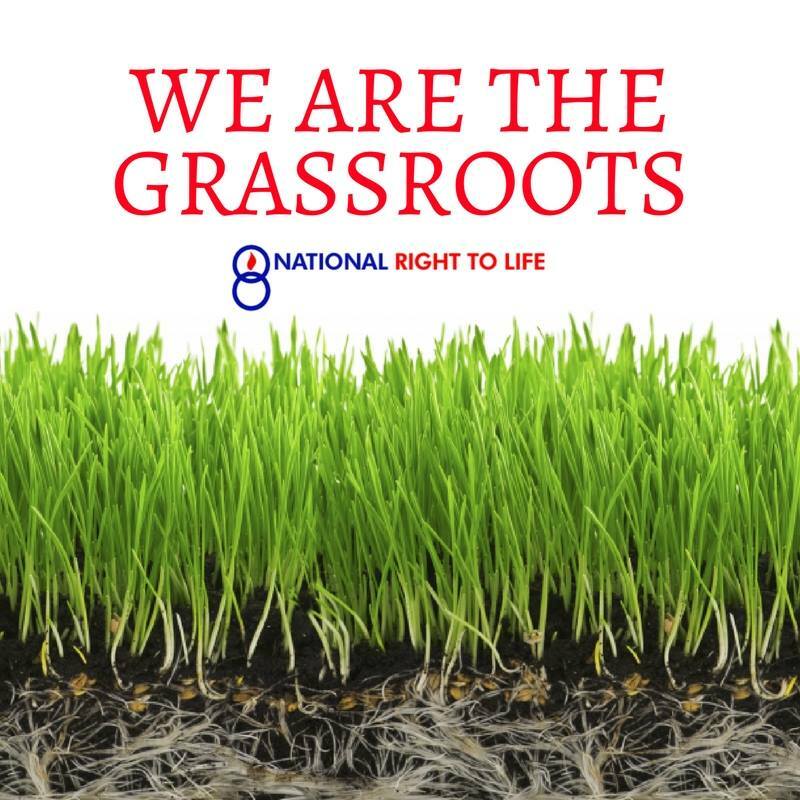 We have more pro-life senators this year than we had prior to last November’s elections, because of the extraordinary work of right-to-lifers around the country in this last election cycle, especially National Right to Life, its affiliates, chapters and volunteers. Under leadership of Senate Majority Leader Mitch McConnell, I have no doubt these dedicated pro-life senators will stop any pro-death bill sent over from the House. I also know the Senate will continue that most-critical task: confirming qualified, pro-Constitution judges to the federal bench, following their nomination by President Trump. We will see real challenges at the state level as well. Pro-abortion and would-be presidential aspirant New York Governor Andrew Cuomo wants to repeal state limits even on third trimester abortions; eliminate requirements that abortion survivors be treated; and allow non-physicians to perform abortions. Virginia and Delaware each face proposed Equal Rights Amendment to their state constitutions. Proponents argue that because only females seek abortions, any government policy that restricts access to abortion “discriminates” against women, and is, therefore, unconstitutional. Its daffy logic but “sounds” persuasive to the initiated. New Mexico is facing one of the most radical pro-assisted suicide measures ever proposed. Non-physicians would be able to prescribe the lethal prescription. Moreover, as Wesley J. Smith notes, “The bill also stretches the ‘terminal illness’ definition to the breaking point.” The only waiting time required before an individual kills himself/ herself is a 48-hour pause before the prescription is filled. The pro-life movement has been in difficult circumstances before and we emerged stronger for the continuing battle for Life. We’ve been in times where the battle for life was fought on much more friendly, encouraging fields. Right now, I think we have a blend of the two, which means we need to take advantage of opportunities that are available and stop bad legislation wherever we can. We will work to inform women of the alternatives that are available, insisting that women be given relevant information before they make that final life or death decision. They need to know their baby has a beating heart. They need to know there is an increased risk between an induced abortion and the later development of breast cancer. And we will work to redirect tax dollars away from Planned Parenthood to full service public health departments that do not perform abortions. As we come upon the 46th anniversary of Roe v Wade, I re-read Justice Byron White’s dissent in the Roe v Wade decision. His incredulity at what the Supreme Court was doing resonated with me. He wrote, “I find nothing in the language or history of the Constitution to support the Court’s judgment. The Court simply fashions and announces a new constitutional right for pregnant mothers and, with scarcely any reason or authority for its action, invests that right with sufficient substance to override most existing state abortion statutes. The right to protect unborn children was taken away from the people and the 50 states. I think the late Justice White would be happy to know we have not given up the fight to reclaim that right.